23.10.2017 - Targer Engineering & Consulting launched a new Lean Six Sigma Green Belt training program in September 2017. The program is managed by the GIZ organization for the companies from the municipalities covered by the EU-Pro-local program. After a winning walk around a developed part of the world, Lean Management and Six Sigma methods are beginning to work uncompromisingly to improve competitiveness in Bosnia and Herzegovina. The philosophy and methodology of management (business) processes have become a certain type of platform on which many companies base their strategy on stable and sustainable improvements in efficiency and excellence. In addition, methods are often used as a basis for the development of a personal and organizational mentality of continuous improvement and problem-solving. More about methods and our services here. Targer Engineering & Consulting received the trust of GIZ (Deutsche Gesellschaft für Internationale Zusammenarbeit) to conduct a training program from Lean - Six Sigma method for the Green Belt level. 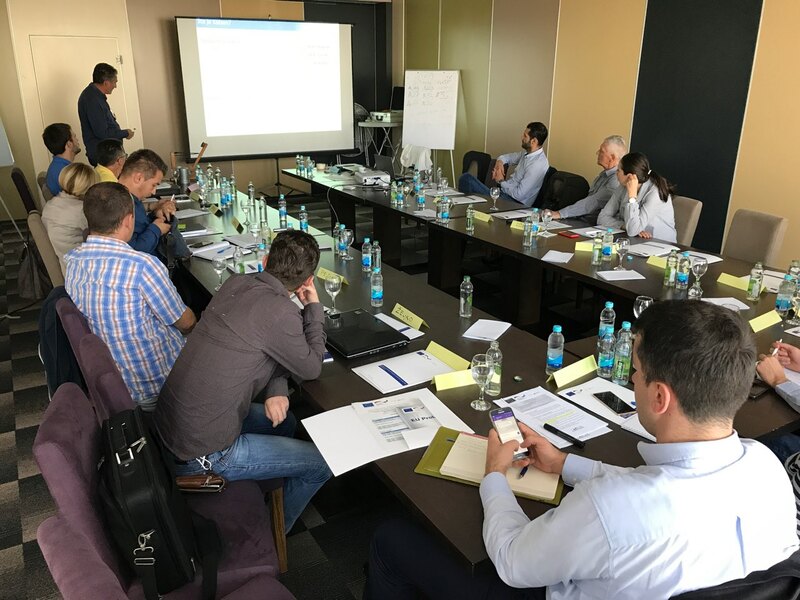 Training is an integral part of the incentive program for BH economy (EU-Pro-local), which covers only one part of the municipalities of Bosnia and Herzegovina. The program consists of 10 days of training divided into 5 blocks. A very important segment is a practical work: in parallel with training participants in their organizations implement concrete projects for improving a process, where they receive mentorship of our consultants, including on-site visits and on-the-spot consultations. Training programs generally last for 3 months, and the added month will be available for the participants to complete the projects. We use the opportunity to thanks, GIZ as the organizer of the program, as well as their project manager Krunoslav Rasic. We also thank the participants for constructive engagement and cooperation, as well as the staff of Hotel Park in Doboj, where the theoretical part of the training is being carried out. The current course of training shows the prominent interest and proactivity of all participants, as well as their satisfaction with shown, learned and discussed. For more information about our Lean - Six Sigma education program, see here. Your Targer Engineering & Consulting team for the Lean - Six Sigma program.